I’m delighted to announce a new range of maths CPD opportunities available for 2018, all with the aim of making my work high-impact and as cost-efficient as possible. I’m particularly excited to advertise my teaching and staff training days support. 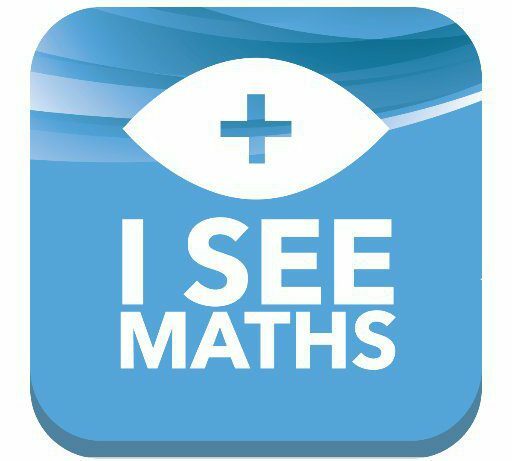 Here, I am proposing coming into schools and teaching up to three example lessons per day, allowing teachers to see visual, deep maths learning in action! I would also, if requested, run a staff meeting after school. I’ve found that my training has had the greatest impact where schools have been immersed in a combination of example lessons and training, so I’m delighted to be able to make this offer. Not that I can promise perfect lessons: I’m very happy, though, for people to learn from both my successes and my failures in the classroom! Over the last four years I have ran a series of conference training events. However, with school budgets increasingly tight (and the cost of hiring venues becoming increasingly expensive), this no longer seems like a cost-efficient way of delivering training. Instead, I’m looking for schools, teaching schools and organisations that would like to host a conference. This will minimise costs, especially for the host school/organisation. I’m also looking forward to running more whole-school INSET and twilight training events, giving schools a collective, exciting vision for developing rich maths learning experiences. The new pricing structure discounts training for smaller schools and provides significant discounts for cluster training events. At the time of writing I have space for eight more bookings this school year (one day left in May, three in June, four in July) then I am taking bookings for 2018-2019. I love my work. I teach more maths lessons than ever, meet more passionate teachers every week and have plans to create so many more new resources. I hope, in one way or another, I can help you to deliver great maths lessons! This is my first blog post in the ‘For me to improve…’ series in which I explain what I’m doing to be a better maths teacher. This blog explains the thought process behind the series. In each lesson, identify one key ‘learning action’ to promote. My thought process will be ‘Which learning behaviour will improve the outcomes in this particular lesson?’ It could be as simple as turning your body to face your partner; it may be more complex like asking clarifying questions; it might be a maths-specific thing like finding different ways to answer a question. I’m a big fan of small-group pre-teaching to help all children access the big ideas of a lesson, breaking down barriers and predisposing misconceptions. It’s helped me to facilitate mixed-attainment groupings. However, for some children the barriers may be the social demands of a lesson. Perhaps Harry finds it harder to share resources; maybe Jade dominates group discussions. A quick conversation or organisational change beforehand might make a big difference. I liked this idea from VL for Mathematics: during a whole-class discussion, put your thumb up on your chest if you agree with the speaker and want to add something; put your fist against your chest if you have a different viewpoint. This encourages children to actively participate in discussions without being intrusive to the speaker. I’m going to make a clearer distinction between most questions and tasks, used to generate discussions, and short ‘exit ticket’ tasks that are completed independently and used to give more accurate AfL information. The nature of the marking may also vary depending on the conditions in which the work is completed. I’m hoping that this will help to keep children accountable for their own progress and avoid social loafing in group tasks. In some lessons, particularly early in a unit, I want the challenge to come from understanding the concept so I will minimise the challenge in the calculation. Consider 14 = 6 + ___ (WR Progress Check, Aut Y1, q4). We can learn the concept ‘= means same as’ using numbers within 5. Once that concept has been secured (a concept which tends to need more than a little reinforcement), the challenge within the calculation can be set at an age-appropriate level. No book has had a more powerful effect on me as a teacher than Black Box Thinking by Matthew Syed. My summary below doesn’t do the book justice. Inside every aircraft there are two practically indestructible black boxes: one box records flight information, the other records the dialogue between the pilot, co-pilot and air traffic control. In the event of an accident, the black boxes are hunted down and scrutinised so that the exact causes (or contributory factors) behind a crash can be examined. 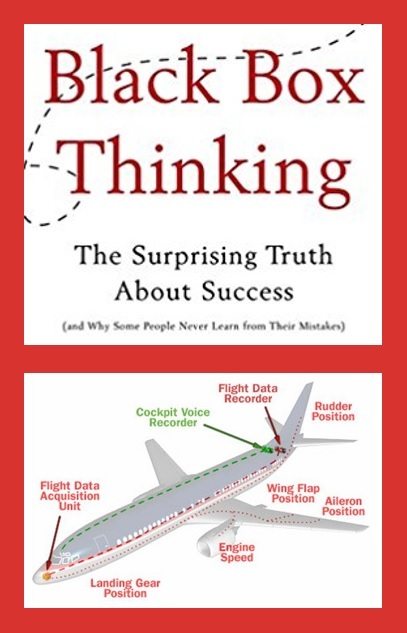 Crucially, in the aviation industry mistakes are viewed as precious opportunities for improvement. Processes are in place so that these lessons can be shared across the industry. Little wonder that you are infinitely safer in an aircraft than driving to an airport. Black Box Thinking goes on to examine the cultures that exist in some of the world’s most innovative organisations. It also looks at the damage that can be caused when an attitude of fear, or an unwillingness to learn from mistakes, exists within a profession. Showcase the weakest (rather than the strongest) aspects of my teaching. Make others feel comfortable to suggest how I can get better. I think that my greatest responsibility as an experienced teacher isn’t to teach the best lessons, but to model the best processes for self-improvement. That, for me, is about being comfortable with (and even enjoying) vulnerability, and about empowering the people around me. To that end, each term I’m going to write a blog called ‘For me to improve…’. It will chronicle the mistakes I’ve made and the aspects of my teaching that I’m trying to get better. I’m sure I’ll pick up lots of great advice along the way – episode 1 is coming soon! Later studies went on to explore this idea more thoroughly, as explained in Malcolm Gladwell’s book Outliers. 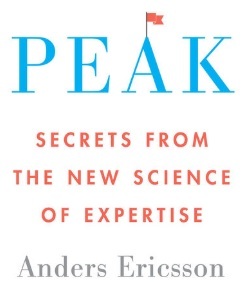 Generally speaking, people who achieve great professional success have an above average IQ: usually 115 or above. 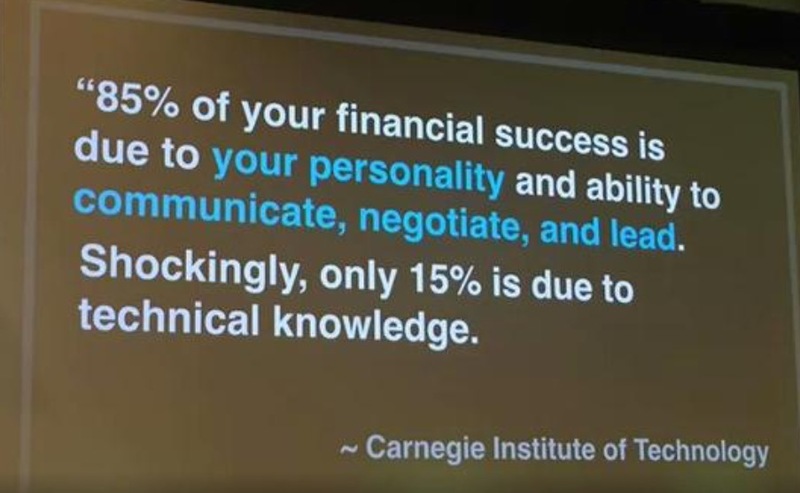 However, beyond this ‘intelligence threshold’, a person’s success is determined far more powerfully by other skills and attributes rather than the full extent of their IQ. Gladwell argued that it is hard to be highly successful without above average intelligence; however, beyond the intelligence threshold success is determined by other factors, for example the character and inter-personal skills of the individual. Pupils who grasp concepts rapidly should be challenged through being offered rich and sophisticated problems before any acceleration through new content. This led me to think about the nature of the ‘rich and sophisticated problems’ that we should be providing. In order to equip children for long-term success, tasks should help children to develop personal and social skills as well as subject-specific expertise. Easier said than done for a busy and pressurised teacher! That’s what I’m going to dedicate my working life towards: creating learning experiences in maths that engage children intellectually and emotionally; tasks create curiosity and lead to collaboration. I hope that this characterises First Class Maths, Maths Outside the Box and The Maths Apprenticeship. I’m convinced that, if the system allows, these are the kinds of learning experiences that we as teachers want to provide for our children. I See Multiplication and Division, the follow-up to I See Addition and Subtraction, allows teachers to make a range of visual representations, allowing children to see the underlying structure of these calculations. I got the idea for I See Multiplication and Division whilst watching an NCETM demonstration lesson. In the lesson, a year 3 class were writing multiplication number sentences based on different repeated addition images. My immediate thought was ‘how can a teacher create these visual representations?’ For many, probably by spending an age on Publisher or PowerPoint. So the concept for the I See apps was born: making it easier to create visual representations. The Dot Pattern feature allows the user to create repeated addition images. How do children calculate the total number of dots? UxUxU calculations can also be made visual: again, how many dots, and how did you work it out? My hope is that I See Multiplication and Division can deepen learning for children and make lesson preparation easier for teachers. It will be available for iPad in the first week in October. Again, huge credit to Alan Peat ltd for running with the idea and Doug Stitcher for his extraordinary effort coding the app. You are legends! This is a great time to be involved in maths education: there’s a collective movement towards developing deep, conceptual and varied learning experiences; teachers are being proactive in promoting positive attitudes towards maths; maths hubs are growing in their influence. I’m excited to play my part in this movement. Put simply, I spend hours thinking about and trialling ways to get children involved in maths tasks that are collaborative, open and (wherever possible) visual. I want children to become engrossed in maths; to experience its agonies and thrills, engaging emotionally as well as intellectually. 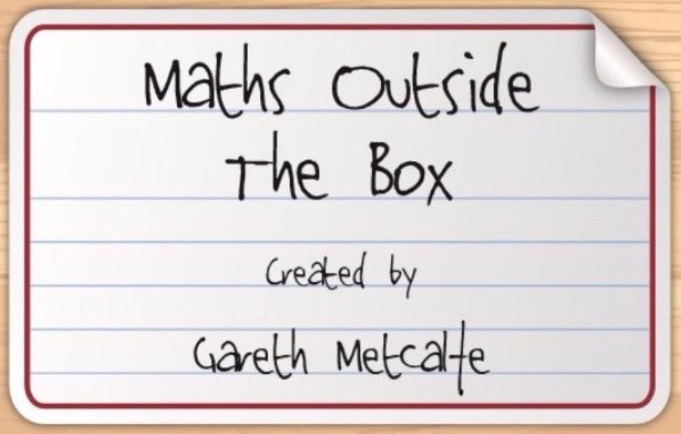 I can’t wait to release Maths Outside the Box, the natural follow-up to First Class Maths. The 15 tasks (logic puzzles, multi-dimensional tasks and investigations) will give children challenging, quirky contexts in which to apply their learning. The perfect way to end a unit of work – it’s been SO much fun writing and trialling. I See Multiplication and Division for iPad is also coming soon. It allows teachers to create a range of visual images to represent calculations, including proportionally sized bar models, area models, dot patterns and arrays. It’s the natural follow-on to ‘I See Addition and Subtraction’. I’m also planning on sharing lots of free resources, including (time permitting) videos for improving the quality of parent interaction in maths. Watch this space. It’s a privilege being able to visit schools to share this passion. Here is the information about my training. Conference events are scheduled for Manchester and Dudley with a KS2 focus. Expect future dates for bith KS2 and EYFS/KS1 training in the Spring and Summer terms. I am also soon to announce a 2-day training event in London (mid-November) and my first half-day TA training event in South Manchester. I’m totally committed to my 2 days teaching my amazing Y1 class this year: I hope they can learn as much from me as I will from them. I’m always happy to promote the good work of other people & look for ways to collaborate, so be in touch. I’ve got more plans than time, and more ambition than realism, but hopefully in one way or another I can play my part in enriching primary maths. I will also keep posting as many bits as possible on my social media feeds in the distant hope that it will inspire someone somewhere. Have a great 2016-2017 school year!